We hope everyone enjoyed National Cancer Survivor's Day yesterday! This was a day for cancer survivors and warriors to celebrate life and inspire those who are currently fighting- But that shouldn't be limited to just one day. Let's keep the inspiration going. If you wish to continue sharing your before and after cancer treatment pictures, please tag us in them at @ihadcancer across Facebook, Twitter, and Instagram for a chance to be featured on our page! Below is some of the latest news on IHadCancer- You can view the content by clicking directly on the text. You tried to take me from my son, you failed. You will always fail because I will not allow anything to take me from him. Everyday I get up and I do what I can to be an active part in my children's lives. Everyday I work towards getting back to me. And I will continue to work towards leaving cancer behind. "Today is your day, cancer survivors (and thrivers, and metavivors, and warriors)! 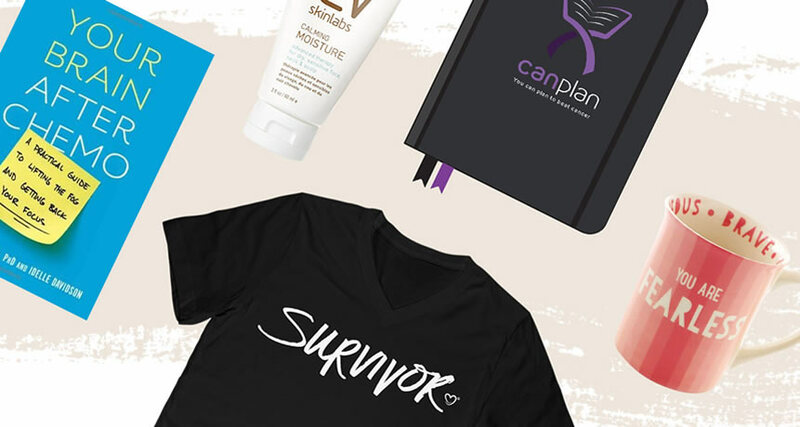 It's a day to celebrate life and inspire those who are currently fighting The Big C. If you have heard the words "You have cancer," you count as a survivor in our book. Share this to show your support! "‬Read more here. "For #NationalCancerSurvivorsDay, the best way we can celebrate the incredible lives of cancer survivors (and everyone else who has been affected by it) is to share their stories. Check in with them again to see where they're at in their journeys!" ‪‬Read more here. "Happy National Cancer Survivor's Day! Share your "before and after" cancer treatment picture to celebrate life and inspire those who are currently in treatment. Is there anyone who experienced scar tissue in their arteries years after their radiation therapy treatment? Emphysema as side effect of chemo, radiation, or hormone pills? If you'd like to sign up for our monthly newsletter, scroll down to the bottom right hand side of the site and enter your email address. Thanks for all of your support, and have a great week everyone! Hi everyone! We hope you're all enjoying Spring so far! Below is some of the latest news on IHadCancer- You can view the content by clicking directly on the text. Should I Keep Every Chemotherapy Appointment? You are not a "dear" to me, far from it. You tried to ruin me, but you may see there have been some unintended consequences to your actions. Dear Cancer I want to talk to you about my search for enlightenment... I was diagnosed with breast cancer in the fall of 2011. Too many of us have heard those words in stunned disbelief. "With our deepest respect, we remember all people who have made the ultimate sacrifice to the safety of the United States, and we wish current and retired service members a very relaxing and well-deserved Memorial Day. Thank you. "‬Read more here. "'It’s more about the guy than it is about the cancer,” Rockies general manager Jeff Bridich said. “Who knows with cancer? There is only so much you can control. But we are expecting this man to achieve what he wants to achieve. And we know that he wants to get back on the hill this year.'" ‪‬Read more here. Hi everyone! We hope you're all enjoying the weeks leading into your summers! Below is some of the latest news on IHadCancer- You can view the content by clicking directly on the text. We asked and you told us. There are so many factors that contribute to a cancer diagnosis, but an overwhelming amount of people in our community agree: stress has contributed to their diagnoses. Click to read more about the recent survey we conducted. Dear Cancer....You lost! I refuse to sink! You know Cancer...You have really been something else! We go up and down no matter if you are around anymore or not. I hate what you have left me with! You've been a bad taste in my mouth since i met you. It seems like i try to cheer everyone up when you come around. Even though i know there is nothing about you that makes anyone smile,...You drain good and bad energy...but worst of all the greedy stand by you...little do they know your lil friends insurance have just showed the greed on earth u help cause. OH I HATE U...with every tear that rolls from my eye is how much I want you FOREVER out my LIFE! "What does "remission" mean to you? "‬Read more here. "It's definitely always in the back of your mind and I’m wondering if I am ever going to feel normal again." ‪‬Read more here. I have a question, I am a stage 3A breast cancer survivor. I googled emphysema as I was told I now have the start of it & no I was never a smoker. I was on breastcancer.org & it says it can be a side effect from having chemo, radiation & on hormone pills. I was wonder if any of you have it, or have heard of any one having it. Anyone else on Tamoxifen feel like it's chemo all over again? Hey everyone! Below is some of the latest news on IHadCancer- You can view the content by clicking directly on the text. Beyond The Shock and Beneath The Scars: Who Walked the NYFW Breast Cancer Show? Dear Cancer, You made me part of an elite clube I never wanted to be apart of. You put me through a year of absolute hell and for awhile put through the ringer by adding on depression and anxiety. Like, why the hell do you even exist?! As much as I absolutely hate you- you did teach me about what life is really all about and how to learn to appreciate everything life has to offer. You will never be allowed in the drivers seat of my life again- i am in control now as I work hard to become the "new" me. Dear Cancer. I am in control of my body now so it is time for you to leave. Thanks for the way you have changed my life for the better. Thank you for making me slow down to smell the roses. I'm enjoying this new connection I have with my loved ones. Your job is done, and I am ready to live! "The strongest among us take their weakest moments and make them turning points. Hats off to you and congratulations on this most wonderful #canverversary! From @michellev3 - "March 1st is a day I will never forget. On March 1st 2013 I was diagnosed with Hodgkin's lymphoma. Today, March 1st 2017, I started my first day has an Oncology Nurse. Life works in mysterious ways. When I was 21 I didn't know what I was meant to do in life what was my calling....After being in and out of the hospital I knew I wanted to pursue a nursing career. As an oncology nurse I wanna make a difference in my patients lives I wanna inspire people. I hope my story can make a change in someone life even if it's the smallest change I'll be happy.This is my calling. To the nurses who took care of me thank you for inspiring me. "‪‬Read more here. The glitter you saw on the models was there to catch your eye, but it was the bodies beneath it that need your help now that you know their realities -- and all of the other lives that could be saved by pushing for greater accessibility to cancer-fighting drugs. AnaOno x Cancerland at #NYFW2017!" ‪‬Read more here. Does anyone else feel like companies just use cancer as a way to play on emotions to sell their product? And, I'm not talking about during October. Like, I just saw an ad fora coffee creamer showing a woman who removes her wig as she prepares to go back to work, and the tagline is about courage. Yes, we've all been there- going out in public bald, returning to work, or returning to some semblance of a normal life. This ad, though, didn't leave me thinking about how I've been in that situation; rather, it left me feel upset, like how dare this company take something so personal just to sell their coffee creamer. Cancer...You are literally driving me insane. I thought I was better. Now I am told that you may not be done with me. Now I constantly worry that I am dying. That I may not see my 9 year old grow up. That I may cause her, my adult daughter and my husband so much pain if I die. Why can't you just leave me alone! I want to live. I have two short words to say to cancer that are not printable on this post. I am not fearful, I will fight, no surrender! "Looking for some Monday Motivation? This is the ultimate #riseandgrind -- fighting #cancer! Leave your comments for Jay here: http://bit.ly/2lOhNuv. ‪‬Read more here. When the average American already sends and receives an estimated 85 text messages a day, why not use texting as a support mechanism?"" ‪‬Read more here. I had a port put in yesterday. The surgeon that put it in told me that it would feel like a sore muscle after working out. Well that's not quite how it feels it hurts really bad and it feels like I had surgery. Did anyone else go through a pain like this an port?